My book Demystifying Public Speaking focuses on the variety of fears we each have about giving a talk. From presenting to a client, to leading a team standup, to standing on a conference stage, there are lots of things we can do to prepare ourselves for the spotlight and reduce those fears. Though it didn’t make it into the final draft, I wanted to highlight how helpful it can be to share that public speaking spotlight with another person, or a few more people. If you have fears about not knowing the answer to a question, fumbling your words, or making a mistake in the spotlight, then buddying up may be for you! Co-presenting can level up a talk in two ways: an additional brain and presentation skill set can improve the content of the talk itself, and you may feel safer with the on-stage safety net of your buddy. For example, when I started giving lengthy workshops about building mobile device labs with my co-worker Destiny Montague, we brought different experience to the table. I was able to talk about the user experience of our lab, and the importance of testing across different screen sizes. Destiny spoke about the hardware aspects of the lab, like power consumption and networking. Our audience benefitted from the spectrum of insight we included in the talk. Moreover, Destiny and I kept each other energized and engaging while teaching our audience, having way more fun onstage. Partnering up alleviated the risk (and fear!) of fumbling; where one person makes a mistake, the other person is right there to help. Buddy presentations can be helpful if you fear saying “I don’t know” to a question, as there are other people around you who will be able to help answer it from the stage. By partnering with someone whom I trust and respect, and whose work and knowledge augments my own, it made the experience—and the presentation!—significantly better. Co-presenting won’t work if you don’t trust the person you’re onstage with, or if you don’t have good chemistry working together. It might also not work if there’s an imbalance of responsibilities, both in preparing the talk and giving it. Read on for how to make partner talks work to your advantage! If you want to explore co-presenting, make sure that your presentation partner is trustworthy and can carry their weight; it can be stressful if you find yourself trying to meet deadlines and prepare well and your partner isn’t being helpful. We’re all about reducing the fears and stress levels surrounding being in that spotlight onstage; make sure that the person you’re relying on isn’t making the process harder. Before you start working together, sketch out the breakdown of work and timeline you’re each committing to. Have a conversation about your preferred work style so you each have a concrete understanding of the best ways to communicate (in what medium, and how often) and how to check in on each other’s progress without micromanaging or worrying about radio silence. Ask your buddy how they prefer to receive feedback, and give them your own feedback preferences, so neither of you are surprised or offended when someone’s work style or deliverable needs to be tweaked. This should be a partnership in which you both feel supported; it’s healthy to set all these expectations up front, and create a space in which you can each tweak things as the work progresses. There are a few different ways to organize the structure of your talk with multiple presenters. Start by thinking about the breakdown of the talk content—are there discrete parts you and the other presenters can own or deliver? Or does it feel more appropriate to deliver the entirety of the content together? If you’re finding that you can break down the content into discrete chunks, figure out who should own which pieces, and what ownership means. Will you develop the content together but have only one person present the information? Or will one person research and prepare each content section in addition to delivering it solo onstage? Rehearse how handoffs will go between sections so it feels natural, rather than stilted. I like breaking a presentation into “chapters” when I’m passionate about particular aspects of a topic and can speak on those, but know that there are other aspects to be shared and there’s someone else who can handle (and enjoy!) talking about them. When Destiny and I rehearsed our “chapter” handoffs, we developed little jingles that we’d both sing together onstage; it indicated to the audience that it was a planned transition in the content, and tied our independent work together into a partnership. Alternatively, you can give the presentation in a way that’s close to having a rehearsed conversation, rather than independently presenting discrete parts of the talk. In this case, you’ll both be sharing the spotlight at the same time, throughout the duration of the talk. Preparation is key, here, to make sure that you each understand what needs to be communicated, and you have a sense of who will be taking responsibility for communicating those different pieces of information. A poorly-prepared talk like this will look like the co-presenters are talking over each other, or hesitating awkwardly to give the other person more room to speak; the audience will feel how uncomfortable this is, and will probably be distracted from the talk content. Practice the talk the whole way through multiple times so you know what each person is planning on covering and how you want to interact with each other while you’re both holding microphones; also figure out how you’ll be standing in relation to each other. More on that next! If you choose to give a talk with a partner, determine ahead of time how you’ll stand (or sit). For example, if you each take “chapters” or major sections of the presentation, ensure that it’s clear who the audience should focus their attention on. You could sit in a chair off to the side (or stand). I recommend placing yourself far enough away that you’re not distracting to the audience; you don’t want them watching you while your partner is speaking. If the audience can still see you, but their focus should be on your buddy, be sure to not look distracted; keep your eyes on your buddy, and don’t just open your laptop and ignore what’s happening! Feel free to smile, laugh, or react how the audience should be reacting as your partner is speaking. If you’re both sharing the spotlight at the same time and having a rehearsed conversation, make sure that your body language engages the audience and you’re not just speaking to each other, ignoring the folks watching. Watch this talk with Guy Podjarny and Assaf Hefetz who have partnered up to talk about security; they have clearly identified roles onstage, and remain engaged with the audience. Consider whether or not you will share a microphone, or if you will both be mic’d. (Be sure that the event organizer, or the A/V team, has a heads-up well in advance to ensure they have the equipment handy!) Also talk through how you’d like to handle Q&A time during or after the talk, especially if you have clear “chapters” where Q&A might happen naturally during a handoff. The more clarity you and your partner have about who is responsible for which pieces of information sharing, the more you can feel and appear prepared. Co-presenting does take a lot of preparation and requires a ton of communication between you and your partner. But the rewards can be awesome: double the brains onstage to help answer questions and communicate information, and a friendly face to help comfort you if you feel nervous. 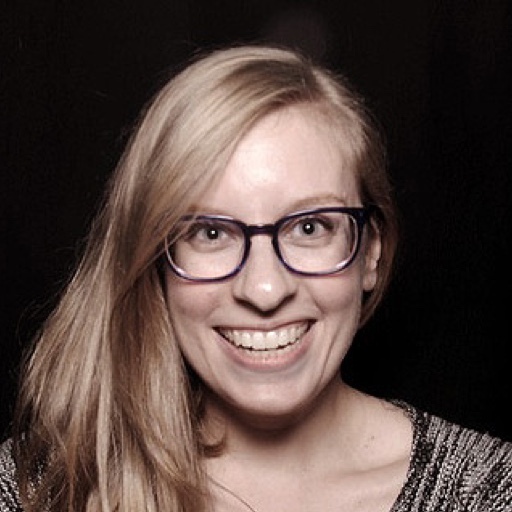 Lara Hogan is an Engineering Director at Etsy and the author of Demystifying Public Speaking , Designing for Performance , and Building a device lab . She champions performance as a part of the overall user experience, striking a balance between aesthetics and speed, and building performance into company culture. She also believes it’s important to celebrate career achievements with donuts. Powerful, flexible content management with backup, cloud storage and client satisfaction all included. What’s Ahead for Your Data in 2016? Heather Burns outlines the most important international legal issues whose effects will ripple through our work on the web in 2016 and beyond. Like the Ghost of Christmas Yet To Come, these trade agreements have approached slowly, gravely, silently. Perhaps now’s the time to take action.